Software 4 Retail Solutions has released S4Vision for Unified Grocers customers participating in Unified’s “Scan Advantage” store data and analytics program. S4Vision is a self-service business intelligence platform that accumulates and analyzes real-time point-of-sale (POS) transaction data, giving store owners and managers actionable reporting and analytics on their desktop, tablet or smartphone. S4Vision connects store managers directly to high-level summaries of trends and performance, with detailed drill-down whenever and wherever they need it, Software 4 Retail says. Managers can see chain and store real-time sales, with period-over-period trends including metrics such as customer count, basket size, average retail and items per basket. They also can dive deeper into department sales and metrics to examine strong or under-performing areas of the business. The platform provides daily projections to help managers anticipate product demand and customer visits. S4Vision’s capabilities include measuring key performance indicators such as open department sales, no sales, refunds and voids so managers can track store labor and prevent loss. Real-time alerts are issued for abnormal activity and performance. Additionally, customer traffic can be measured against cashier labor to validate labor schedules. 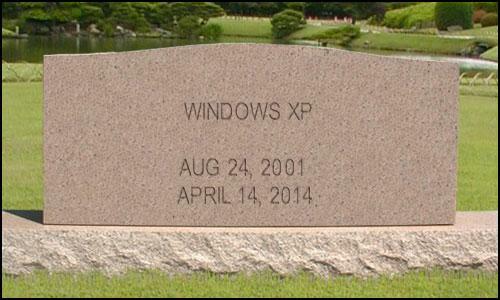 Windows XP was laid to rest on April 8, 2014. It is survived by its siblings Windows Vista (stop laughing), Windows 7 and Windows 8. Before you read further, this does not pertain to XP embedded. You still have time left on that; end of life for XP embedded is January of 2016. Not sure if you are on XP embedded? Keep reading and contact us. We can help. The passing of Windows XP marks a major milestone in the progression of desktop technology. Many times Microsoft extended the life of the platform because of the success it had in the marketplace and the outcry of the impact ending support would have on the PC community. Finally, just a few short weeks ago, Microsoft pulled the plug; this time for good. A few months back we posted an article about the “tsunami of viruses” that were likely to hit at end of life. Thus far, those fears have not come to reality; at least not anything that has created any public outcry. Why is this? It could be the end of life was much ado about nothing. It also could be as many reports suggest; thieves are targeting smaller firms. The attacks are likely happening, but not getting the headlines. Additionally, recent reports show the market share for XP has only dipped by about 1.5% since end of life. Larger firms, especially since the Target breach, have shored up their networks. Smaller firms often the laggards, not so much. Small business is vulnerable and the crooks know it. If and when your business is breached and you are running Windows XP, you will likely not garner much sympathy from the PCI Security Council as they determine origin of fault and levy fines. Many store owners we talk to are not even sure if they have XP. There is a lot of misinformation out there. If you are not sure if you are vulnerable, let us know. 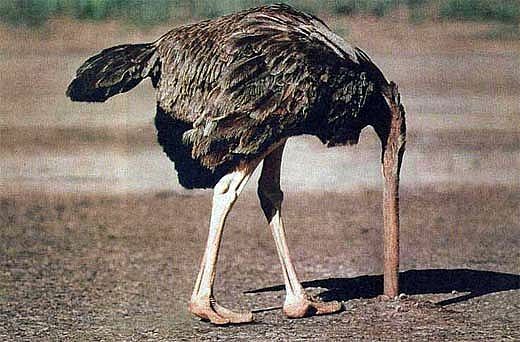 This is not the time to stick your head in the sand and not take action. We are happy to provide an assessment. Whether or not you use RDS to help with the upgrade or change, protect yourself. Upgrade your system and remove this liability from your business. You can read the full interview on the Wichita Metro Chamber of Commerce website. The results are not final yet, but in over 120,000 replies so far to a poll on MSN.com many consumers are still saying they overwhelmingly prefer cash registers to mobile apps. Granted the poll doesnt ask if this is in regards to the gas pump, grocery store restaurant, bar, or retail outlet but the results are none the less interesting. Post below with your comments on why you think this may be. POS vs Mobile WHAT DO YOU THINK? More stores are having salespeople & and even shoppers ring up sales on smartphones & tablet computers. How do you feel about stores using tablets & smartphones to ring up sales? More to come when final results are released! Great video from our customer in Adelo, IL. Showing us all how the Harlem Shake gets done at the grocery store. Microsoft has had April 14, 2014 publicized for some time now as being the end of life for its most successful and widely adopted Operating system, Windows XP. This is creating a serious PCI risk in that many retailers have not paid attention as they are stuck with machines that will no longer be PCI compliant due to this issue. It is critical that if your company is running a point of sale system with Windows XP that you put in process a plan to move to a platform that is PCI compliant and will be for the foreseeable future. Not doing so will put your company outside of PCI compliance and opens up your company to all kinds of risks from hackers, spam, viruses and spyware as the operating system will not be receiving any patches after that date. In addition most manufacturers and developers have stopped developing software and peripherals for the platform leaving retailers finding it difficult to work with newer technologies such as updated scanners, cell phone coupons, loyalty programs, and others. For more information on if your store might be at risk please contact your local RDS representative for a FREE POS Analysis. Scanner Scales, are one of the most important yet most take for granted pieces of equipment in a grocery store. Without scales transaction times would be slower, reports would be a disaster and shrink would be an even larger problem. However many store owners with older outdated scales are not fully realizing that having an older outdated scanner-scale can create some of the same problems as not scanning at all and can reduce the effectiveness of your investment in back office, point of sale and other systems. Below we list many of the areas that your older scales may be hurting you more than helping. Coupons are a huge source of shrink for the store owner with an older scale. New GS1-Databar codes cannot be read by older scanner scales requiring manual entry of the coupon causing errors and taking up a lot of time. Manual entry can also lead to discounts being given on expired coupons or coupons for items that were not even in the cart. One of the largest sources of shrink is the overhang. This is when the bunch of bannanas your busy cashier is weighing is leaning on the back of the check stand or that long stalk of celery is laying partially on the counter and partially on the platter. Studies have shown that a grocery store can lose about 5-10% of the weighed value of their produce this way. Don’t believe it? Walk through your produce department and count all the items you have that are weighted that are to some degree longer than the platter or that can be leaned on the back of the platter. Another inefficiency of older scanner scales is that they often have a hard time reading bar codes quickly requiring re-scans and slowing up lines giving customers the impression that checking out in your store, takes alot of time with re-orienting or rescanning. Also when re-scans lead to manually entering in the bar code how long does that take? Or worse…entering in the dollar amount and a department. The more our cashiers need to manually do things the less accurate our movement reports get. Last older scales wear out they break down and they run slower than more modern scales. Many grocers play scanner roulette by rotating bad, old slower scanners to lanes that are not often used only to forget about them and have an inefficient or worse an inoperable lane when traffic picks up. Does your store need a more modern, updated scanner scale ? Take a look at the items above. Watch your cashiers for leaned items and overhangs, do an audit of your coupons, watch how long it takes a large basket of groceries to get through one of your check out lane and most importantly ask your customers, “Does it take longer to buy from my store than it does other stores?” You’ll be surprised at what they might tell you.